Learn more about the Share your Stories feature and how to automatically share new reviews and photos to social media. Sharing your reviews and photos to social media is a great way to get more potential customers seeing your great work. To make this easier for you, NiceJob includes the option to automatically share your reviews and photos (stories) to social media. That's it! Each new review or photo added to your account will be automatically shared out to your connected social media accounts. This works with Facebook, Twitter, and LInkedIn. 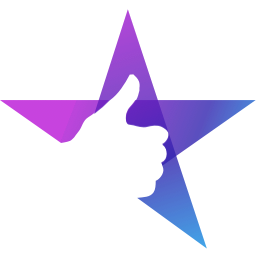 Set the minimum review rating that you want automatically shared. So if your minimum rating is 4 stars, reviews with less than a 4 star rating will not be automatically shared. If you add a photo and send it as a review invite, we'll wait for the customer to leave a review before sharing the photo. That way, we can share the photo and review together. When you get a new review, we'll wait up to 3 days for you to add a photo to it before we share it. Setting the strategy option to 'none' means that reviews and photos will be shared right away as they are added to your account.